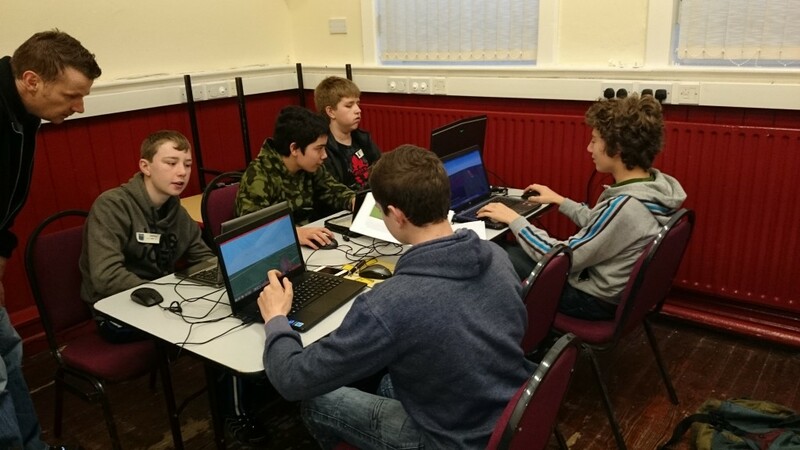 Skerries CoderDojo looking for mentors! Skerries CoderDojo, the free, volunteer-led monthly coding club for kids from 7 to 17 (and their parents), is going from strength to strength. After two meetings in the lovely upstairs of Joe May’s, that venue became too small, and they have now taken over the Old Schoolhouse (part of Skerries Community Centre), where they will be found one Sunday every month from 4 p.m. to 6 p.m.
One of the advantages of being in the Old Schoolhouse is that the volunteers can now set up a Café Dojo, where parents (who have to stay on the premises if their children are under 12) can sit and chat and have some coffee / cake. What a lovely way to spend a Sunday afternoon! While the club is free to attend, ninjas (participants) must book in and bring a laptop, and a parent if they are under 12. 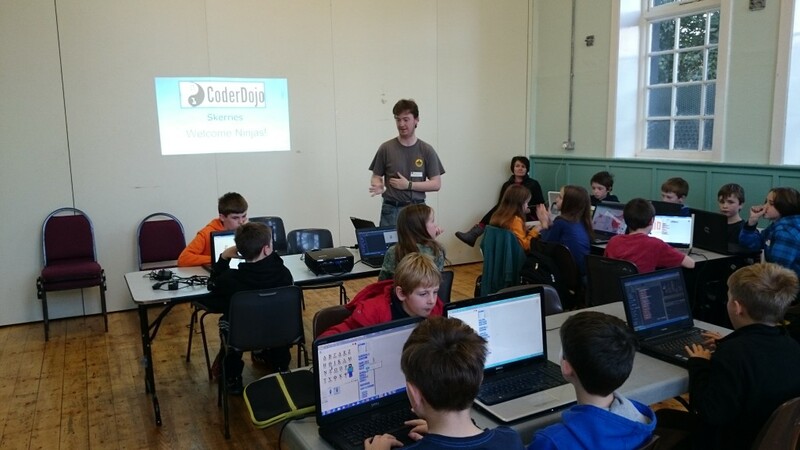 Bookings for each CoderDojo opens a week before the event and is done online only, through the Skerries CoderDojo EventBrite page. Contact coderdojo@skerriesca.com if you would like to be added to their email list, so that you will automatically be alerted when booking opens. Skerries CoderDojo would like to thank their main sponsor, Ian Cleary of RazorSocia.com, a Rush-based company / website of international renown that evaluates social media tools. 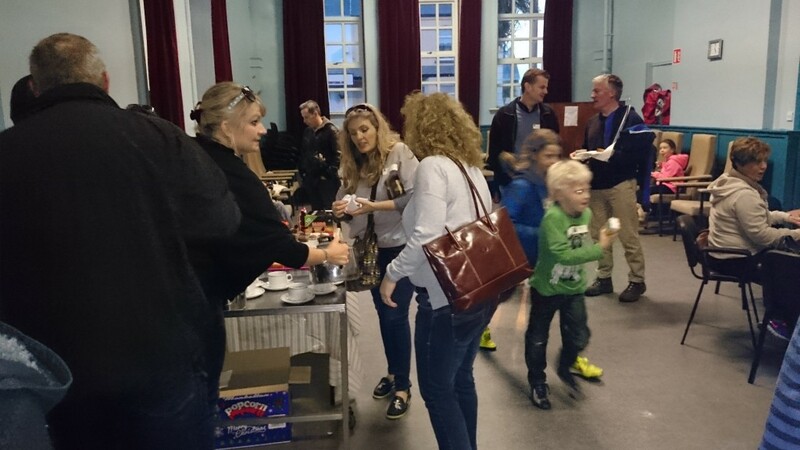 This entry was posted in CoderDojo, News and tagged mentors by SMcK. Bookmark the permalink.